Canada's ambassador to the U.S., Gary Doer, has written a three-page letter to U.S. Secretary of State John Kerry outlining the reasons why the Keystone XL pipeline should be approved including a promise by the Canadian government to further reduce greenhouse gas emissions. 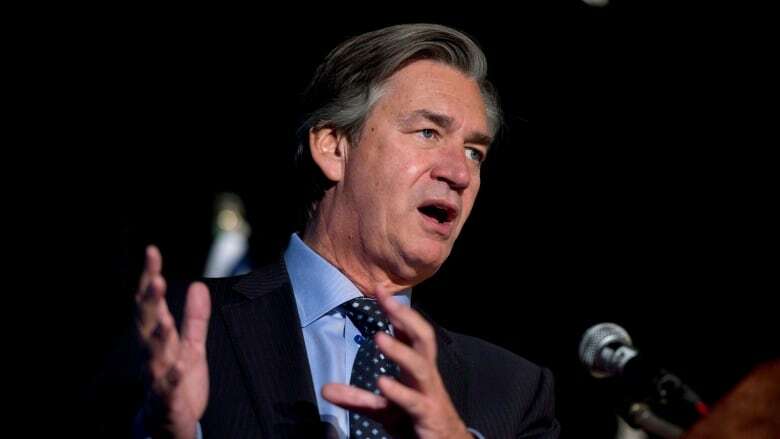 Gary Doer, Canada's ambassador to the U.S., is making the case for TransCanada's proposed Keystone XL pipeline in a letter to U.S. Secretary of State John Kerry. The three-page letter written by Gary Doer, dated Feb. 28, is Canada's submission to the U.S. State Department's 30–day public comment period, which closes this Friday, March 7. In the letter, Doer reassures the U.S. government that Canada is mindful of U.S. rules, saying "first and foremost, Canada respects the U.S. regulatory process." But he goes on to note that the U.S. department's own inspector general on Feb. 26 said that the evaluation process "at times was more rigorous than its prescribed guidance." The department is in the process of determining whether it's in the U.S. national interest to grant a permit for the pipeline, which would carry crude oil from Alberta's oilsands to refineries on the U.S. Gulf Coast. Doer's letter points to the department's Jan. 31 final supplemental environmental impact statement that found approval of the Keystone XL pipeline would have no significant environmental impact. And he also hits back at critics on both sides of the border who oppose the project on the grounds it will lead to an increase in carbon emissions, calling Alberta "the first jurisdiction in North America to require large emitters to reduce their GHG emissions intensity." "If they miss their target, they must contribute to a clean energy innovation fund," Doer wrote. Supporters of the pipeline in Canada, which include political opponents such as Liberal Leader Justin Trudeau, have also accused the federal government of not doing enough to win approval for the project, citing the fact that Canada missed its target to publish new greenhouse gas emission regulations for the oil and gas sector two years in a row. Doer addresses those concerns by saying "Canada is committed to further action including regulations for our oil and natural gas sectors." The ambassador points to comments Prime Minister Stephen Harper made on Dec. 19, 2013, when he said "our government is certainly prepared to work with the United States on a regulatory regime that will bring our emissions down." Doer writes that "Canadian heavy oil has similar GHG emissions to the oil it would displace, and Canada is committed to additional actions to reduce its emissions further." The letter follows numerous visits to Washington by Canadian government officials, including Foreign Affairs Minister John Baird, who said during a visit to D.C. in January that it was time for the Obama administration to make a decision — any decision, even if it's not the one Canada hopes to hear. "The time for a decision on Keystone is now, even if it’s not the right one," Baird said. A recent Nebraska court decision is expected to further delay the Obama's administration's ruling on the project. Keystone XL gets environmental OK from U.S. State Dept.